A man has been charged with multiple offences relating to burglary and fraud in Eastbourne, Pevensey, and Uckfield. 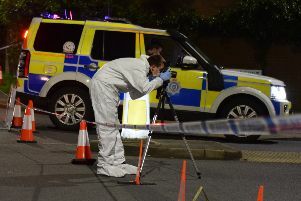 Nigel Fry, also known as Nigel May, was arrested by officers in Eastbourne in the early hours of Thursday (February 1) and remanded in custody. The 50-year-old from Bexhill is due to appear before Brighton Magistrates’ Court today (Friday) charged with a total of 11 offences relating to burglary and fraud in Eastbourne, Pevensey and Uckfield between November 2-17 last year.